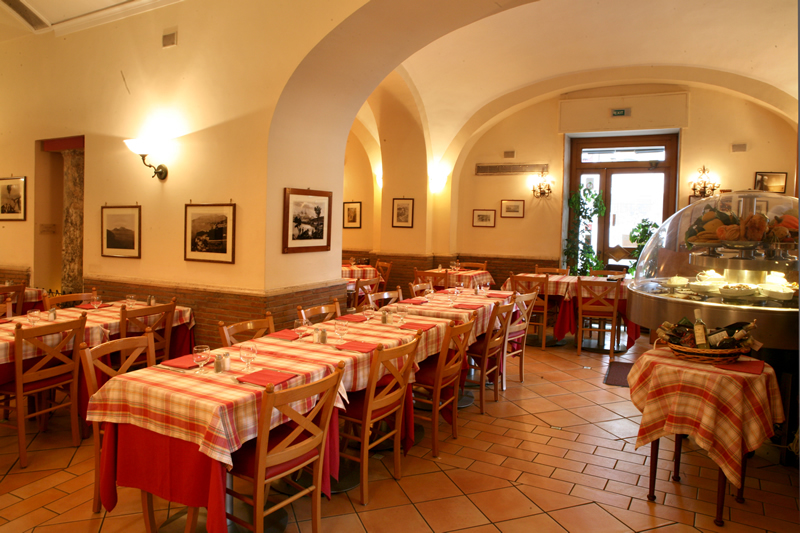 The Pizzeria Aurora in Sorrento, in addition to the outdoor terrace, (from where you can see what is going on in the main square); has a large and confortable hall, furnished in warm and welcoming tones. 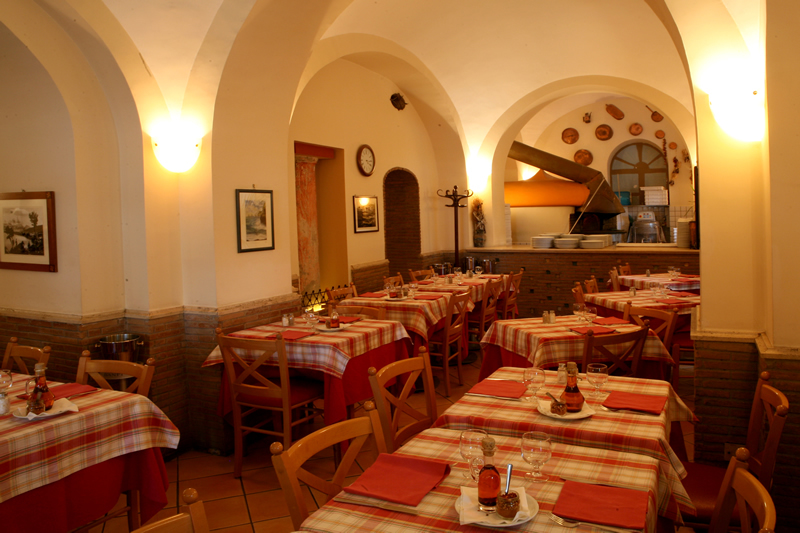 In the vaults of the ancient Piazza Castello, in a friendly atmosphere you can enjoy a fragrant pizza cooked in a real wood oven. Our professional staff and the delicacy of our pizzas, will let you enjoy unique and unforgettable dishes. 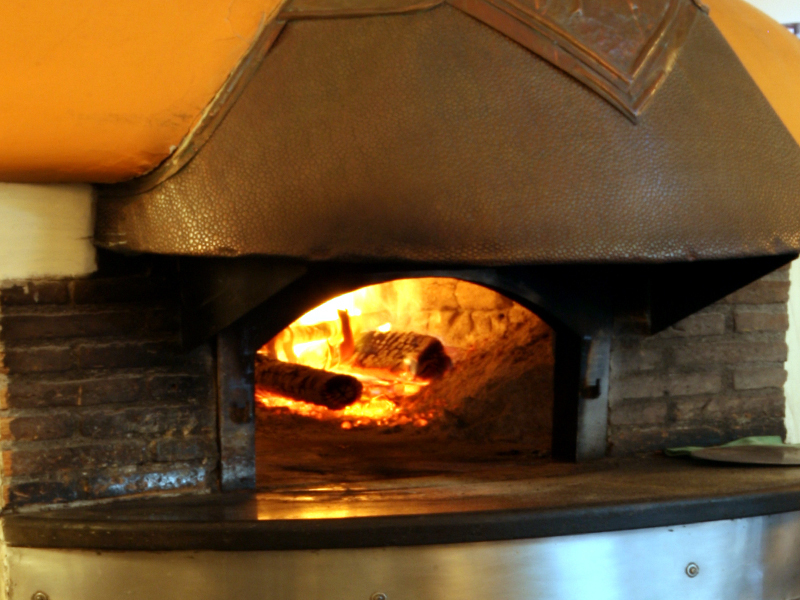 Our oven, with an inside diameter of 2 meters, has been built by the Masters of Maiano (Badoglio nickname), a fraction of the nearby Sant 'Agnello, with ancient methods handed down from generation to generation. Furthermore, it is already more than twenty years that, in the vault of the oven, we have installed a heat recovery for hot water supplies, that satisfies the needs of the whole restaurant.